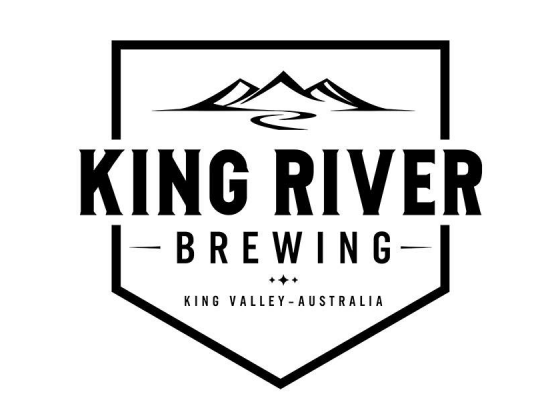 King River Brewing is located in the picturesque King Valley, North East Victoria three hours easy drive from Melbourne. Also known as the high country, the air is clean, the food is amazing, the people are welcoming and the beer is fresh. The brewery produces high quality and well-balanced beer for all to enjoy. We deliver full flavour from natural processes with drinkability favoured over being too fastidious about beer styles or using chemicals to increase head retention. This may sound like a given with most craft beers in Australia however King River beer styles are unique, easy to drink and full of flavour. With a gentle nod to our location we focus on both farmhouse and easy drinking styles of beers. Something for everyone. King River Brewing is in the heartland of first, second and third generation Italian and European immigrant farmlands. The King Valley has a wonderful history of hop farms, dairy farms, independently owned wineries, produce and livestock businesses and King River Brewing is proud to be part of the local enterprise. The brewery is wholly owned by husband and wife team Nathan and Brianna Munt. The rustic, friendly and comfortable tasting room is built inside an old tobacco kiln on site, once part of the areas previous industry. The brewery itself is housed inside an old tobacco grading shed which is right next to the tap room. The tap room decor features tobacco bales branded with the local family names from the region, providing some history and insight of the post-war King Valley tobacco business. Available on the six rotating taps are the latest brews, straight from the brewery! The mighty King River runs at the back of the property, whose pristine waters are fed from the Alpine snow fields above. The farm belongs to Brianna's father, Walter Sartori, a second generation Italian from the Trentino Alto-Adige region in Northern Italy. Wally is an ex-tobacco farmer and viticulturist now prominent in the local wine industry. If you're lucky, Wally might be around to regale stories of the history of King Valley and indeed the hard working farmers that helped make this region so special with their local offerings of traditional Italian food and wine (and son-in-law beer). Come and sample King River ale. Sit back, relax and enjoy beer like never before in this special location. We love this place as much as our beer and we reckon you will too.